So you may have noticed this or may not but I have been awol from the blog for the last week or so which wasn't exactly expected or planned but it was really needed now I am ready to get back to blogging. Bare in mind that I always post when I feel like it, some days I may feel like posting every day or every other day. 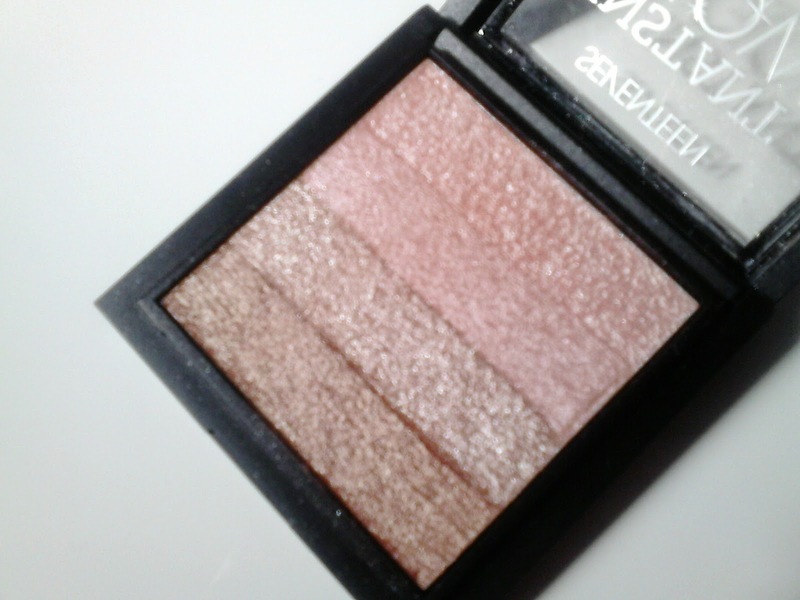 Anyway, over the last few months or so since my discovery of the coveted MSF soft and gentle I have found myself becoming increasingly obsessed with highlighters, both high end and drugstore and I have found a few favourites, one of which is the Seventeen Instant Glow Shimmer Brick in the shade Pink Bronze. A highlighter helps me to achieve a glowy, luminous complexion and transforms my face completely from lifeless and washed out to radiant and healthy. I can't go without a highlighter in my makeup bag no longer, my made up face doesn't feel completed without it. 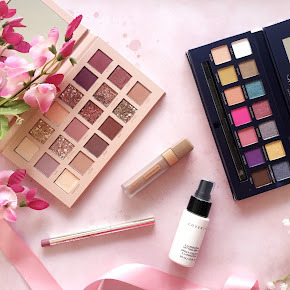 When I was browsing through Boots over a month ago I spotted the Revlon Highlighting palette in the makeup aisle which looked incredibly similar but it had a slightly higher pricetag than that of the Seventeen Shimmer Brick. Not exactly a huge difference but it was a saving nonetheless. 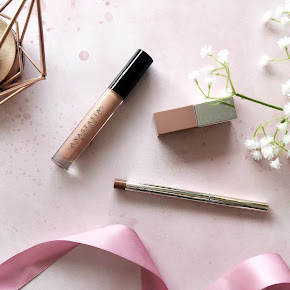 It was love at first swatch for me and it has become a staple in my makeup routine lately. 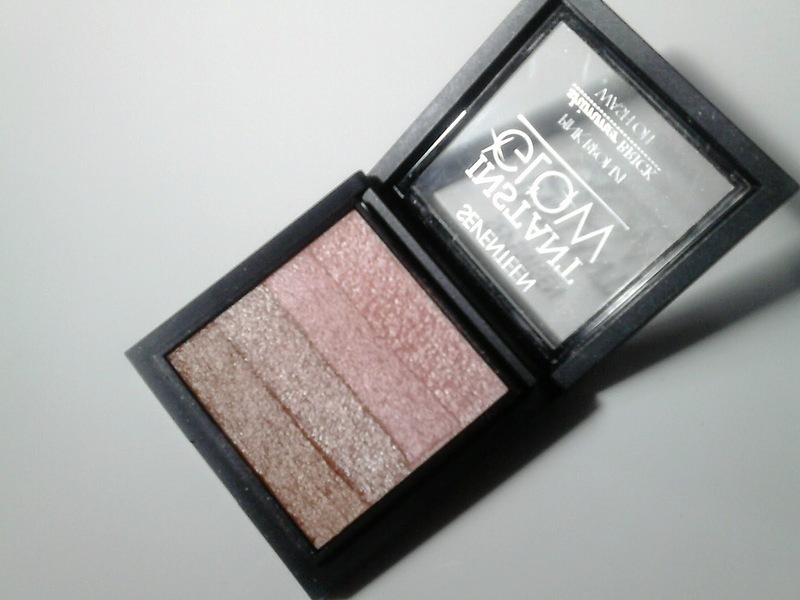 The Seventeen Instant Glow Shimmer Brick is encased in a black compact, it's brilliant to just pop into your makeup bag and you don't have to worry about any product going anywhere. That hasn't happened to me anyway at least. Thank heavens for that considering I am sooo clumsy. There are only 2 shades of the shimmer bricks, one of which is Pink Bronze and there is also another called Gold Bronze too. I seem to only go for slightly dark, champagne type shades so Pink Bronze is a good change from the norm. The shade Pink Bronze includes a variety of four different bronzed shades that you can swirl together to highlight certain areas such as the high points of your cheekbones, cupids bow, down the nose and anywhere else that you'd like to highlight. I find myself applying this with my RT setting brush at the high points of my cheekbones and sometimes down my nose depending on where I feel I need that extra glow. It also has many other uses too, you can use each shade from the shimmer brick to apply onto the eyelid as an eyeshadow, in the inner corners of the eye or apply it to the hollows of your cheekbones as a contour. As you can imagine it is incredibly versatile but I only choose to use it for one thing, a highlight. 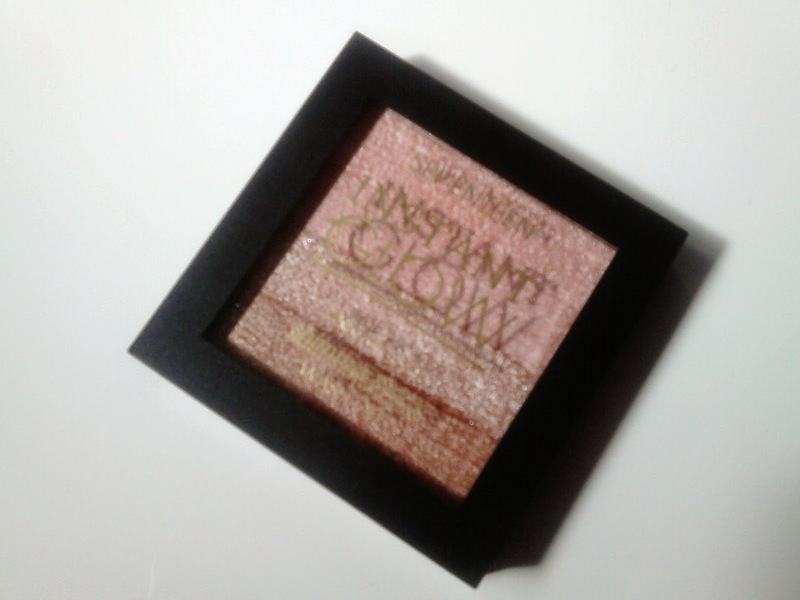 The Instant Glow Shimmer Brick isn't too overly shimmery as long as you don't pack too much product onto the brush. There will be no chance of you looking like a glittery disco ball. Phew! I find it so subtle and it works well with my pale skin and it never washes me out. 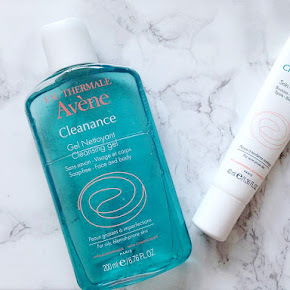 It gives me the most beautiful, gleaming complexion and I couldn't rave about it enough. You can purchase this from Boots or Superdrug for a measly £4.99 compared to the Revlon Highlighting Palette which is £8.99. That's a good £4 saving!